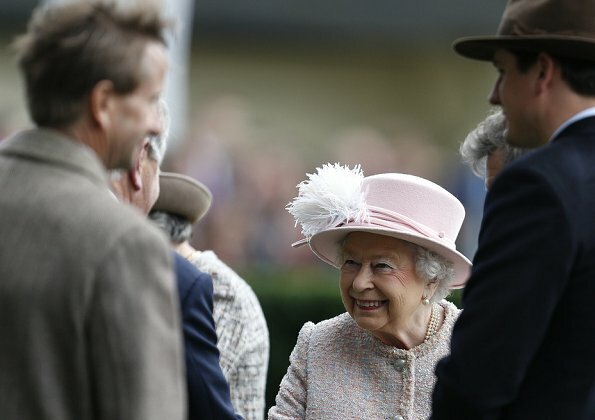 On October 21, 2017, Queen Elizabeth II attended The Qipco British Champions Day at Ascot Racecourse in Ascot, England. ( QIPCO: Qatar Investment & Projects Development Holding Company.) 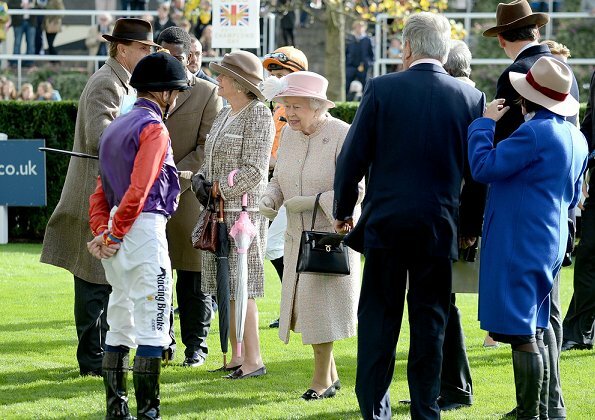 British Champions Day is a thoroughbred horse race meeting held at Ascot Racecourse in October each year since 2011, which acts as the end of season highlight fixture of British flat racing. Perfect, as always. Besides, she seems happy. She looks so beautiful in that first photo. She is amazing. Lovely color for her and very pretty rose gemstone brooch. 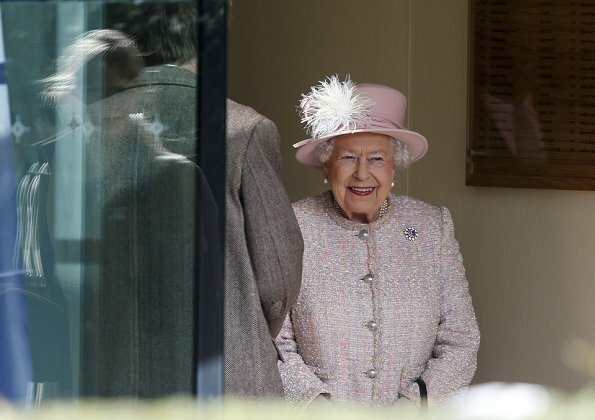 She does seem so happy these days. Perhaps glad that most of her grandchildren are settled or getting settled. 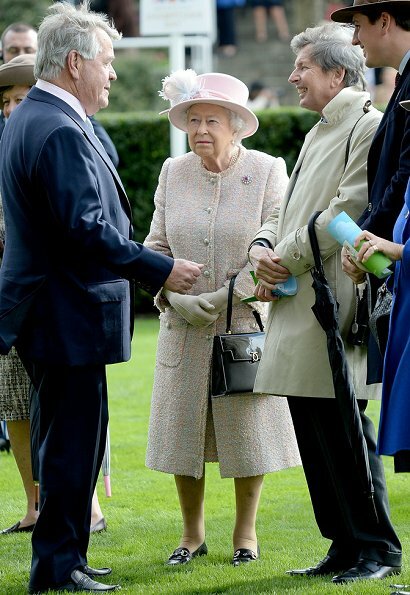 Queen Elizabeth looks good as always, has changed very little in the last few years.